3M™ E-A-R™ Classic™ corded earplugs set the standard in hearing protection as the world's first foam earplugs. Constructed from slow-recovery foam, these disposable earplugs are uniquely moisture-resistant. It's the most popular earplug in the world! The Classic EAR earplugs timeless design has proven itself in the field for over 28 years, and its dermatological safe foam provides a comfortable, effective seal while exerting little pressure on the ear. 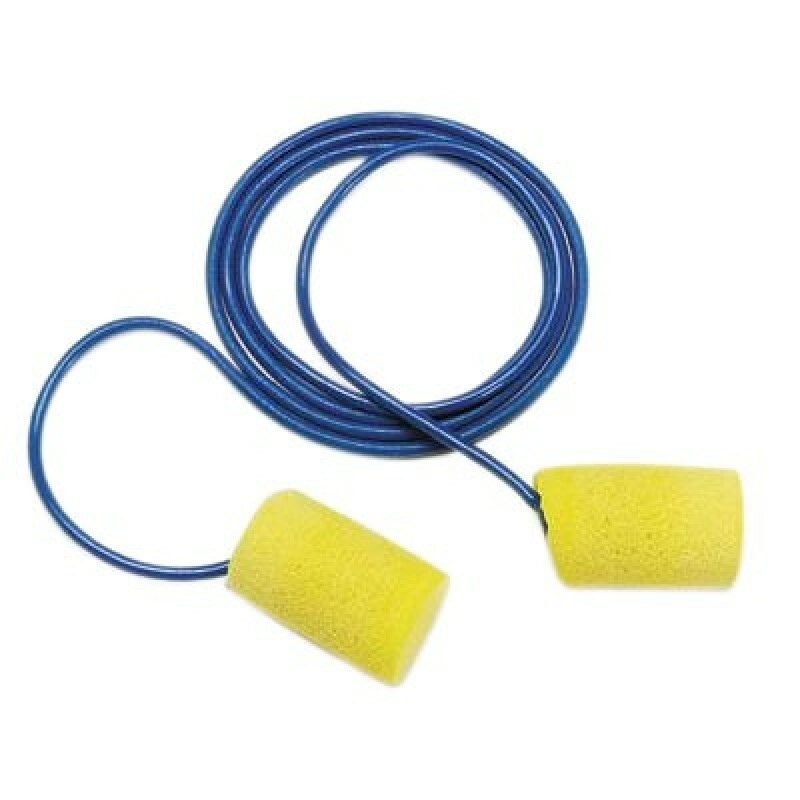 These foam earplugs are moisture resistant, they will not absorb moisture and swell like many other models. Foam will maintain its comfort, fit and critical recovery characteristics to offer a non-irritating fit. Its slow-recovery foam ensures a comfortable fit while minimizing pressure. Nonflammable and designed with a bright yellow color to offer a quick visual compliance check. Breakaway cord for safety. World's first foam earplugs and still the most widely used cylindrical earplug today. Hearing protection NRR 29 dB. Box of 200 pairs.